Contrary to appearances this name has nothing to do with the word Teamhair that occurs in Tara, Co. Meath, nor even with the Eng. word 'hill'. Name Fordrum noted on Wexford Coastal Path display. Tara Hill is the third highest hill in the North Wexford area and the 1268th highest in Ireland. 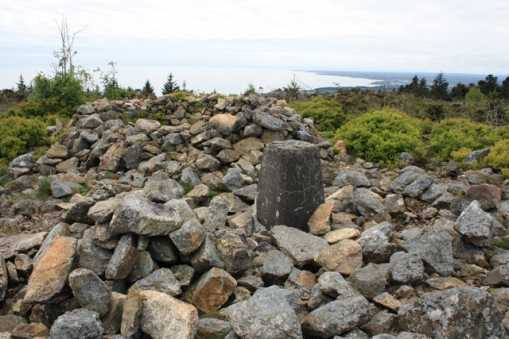 Tara Hill is the most northerly summit and also the most easterly in the North Wexford area.